There are two approaches when it comes to stocking a kitchen: You can find yourself the best multi-purpose tools, appliances, and other accessories that might cost a little more, but promise to keep your drawers and counters free of clutter. Or, you can embrace every single cheap novelty gadget and knick-knack that are primarily designed to be fun or cute. 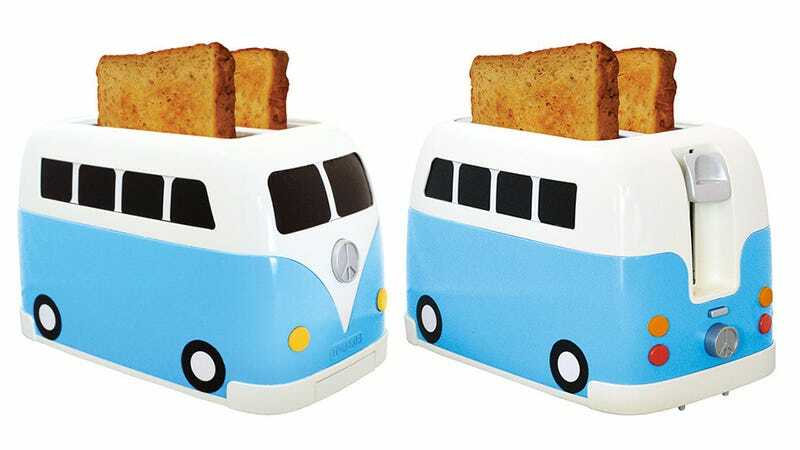 Can you guess which category this camper van toaster falls into?